For all of you burrito fans, we are sure that you probably already frequent one of the seven local Neato Burrito locations. 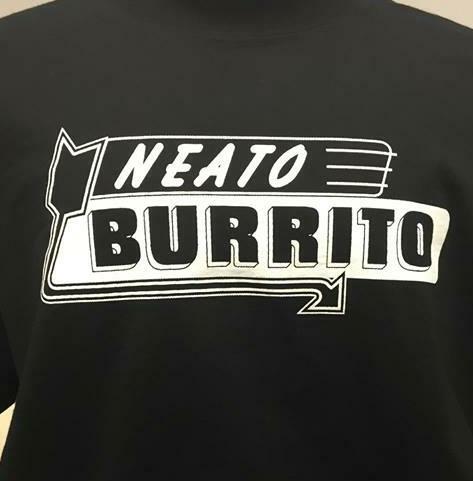 While you are enjoying your next yummy burrito, consider purchasing their first ever Neato Burrito t-shirt. The price is $12, with the net proceeds of the first 500 shirts to benefit Vickie’s Angel Foundation. Shirts are available at all locations.